Operated by Cornerstones, the Embry Rucker Community Shelter (ERCS) is a residential shelter providing healthy, safe, emergency housing for families and single men and women. Cornerstones is dediated to helping their clients overcome the circumstances that led to their homelessness and facilitate their transition to stable housing. More information about the shelter can be found here. The Ran It With Janet 50K seeks to raise awareness of homelessness, and raise funds to be directed to Cornerstones to help this great organization provide relief to those in need of assistance. In addition to registering for the event here on Ultra-Signup, please consider a direct donation to ERCS. A map of the course with mile markers, points of interest for bearings, and approximate elevation profile are shown below. The start and finish is at the Brownsville Picnic Area. The course progresses in a counter-clockwise direction. 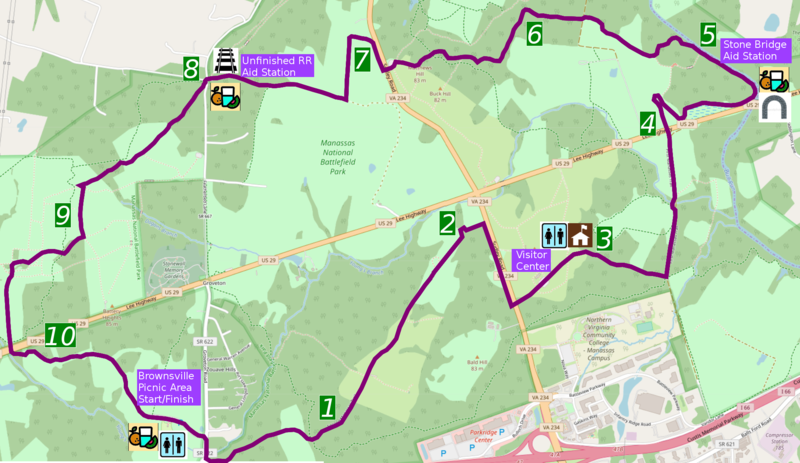 Miles 1 through 8 follow the outer perimiter portions of the First and Second Manassas Trails. Aid Stations will be setup at approximately..
All training runs meet at the Brownsville Picnic Area at 8:00 AM. This is an excellent way to familiarize yourself with the course, and run with a group at a relaxed pace. 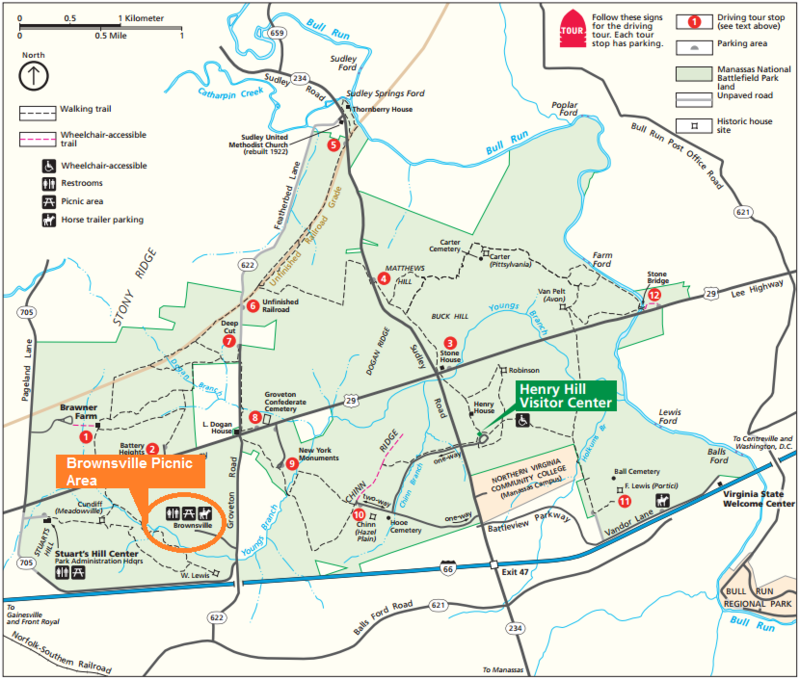 And if you've never been to the Manassas Battlefield before, this is also a great time to read the placards along the trail that provide historical reference of events during the early stages of the civil war. Water will be put out at the aid station locations. Sunday, April 7 (close to National Unicorn Day of April 9). April (TBD) 6 weeks before the event. Good time for a 20 miler for those so inclined! May (TBD) about 4 weeks before the event. Another ideal time for a 20 miler May (TBD) 2 weeks before the event. These are rain or shine training runs. Because running in a pack is always funner then running alone on a treadmill. Stay tuned to the Facebook page for further details about the training events and options. We will update for 2019 starting in January!